On the first Thursday in April Daniel Paterson and I found ourselves on a train from Bordeaux making a pilgrimage to Pauillac. It was not the easiest of pilgrimages – a train journey that ought to have taken an hour at the most ended up taking twice that, as a result of a technical problem to do with level-crossings en route. When we eventually arrived in Pauillac we couldn’t find a taxi anywhere, but since the vineyard was more or less within walking distance Daniel and I set off on foot. It was a very warm afternoon but fortunately, before we both began to see mirages of Omar Sharif appearing on the horizon astride a camel, we spotted a tractor belonging to the vineyard, its driver tending the vines, and were able to persuade him to give us a lift to the chateau for the tasting. 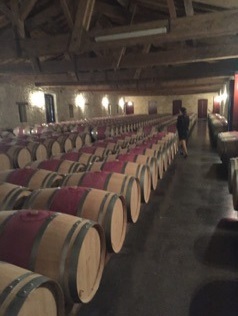 It was well worth the trip – gleaming vats, svelte hostesses in black suits with red sashes, and some interesting wine to taste. What really struck me though was the monastic atmosphere. It was so quiet – we were after all in the middle of miles of meadow – and such a contrast to the hustle and bustle of city life, and indeed city tastings. We were guided through the estate’s 2016 offerings by Justine Tesseron. This is their first fully biodynamic vintage and I must say the results are impressive. The Grand Vin was very opulent and was the stand-out wine of the two we tasted. Once this wine has fleshed out i’m sure it will be fit for many years of cellaring. The Tesseron family, owners of the Pontet-Canet estate, recently acquired the Napa Valley vineyard formerly owned by the actor Robin Williams and the wine is called Pym-Rae. This was the second wine on offer, of a very different style to Pauillac, but equally interesting. With the domestic wine market in the USA going from strength to strength, this is a project we will be watching very closely. 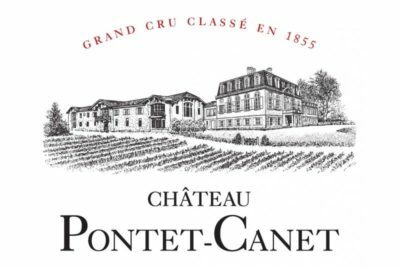 The return journey was rather easier as it was at the end of the day, and the wine-maker from Pym-Rae kindly gave us a lift back to the station in a Range Rover which the owner of Pontet-Canet had placed at his disposal. Earlier in the day – it had been a long one which began with my meeting Daniel at Bordeaux airport around 8am – we visited the brand new ‘Cite du Vin’ wine museum, which you will now find on every to-do list for Bordeaux in existence. It is an impressive building, based on an idea of swirling a wine glass, but Daniel and I found the exhibition all a bit bewildering and disjointed, largely due to the fact that it is very interactive (buzz-word) and involves donning a headset and moving into areas where random commentaries on various aspects of the wine industry assault your eardrums. I may return when i have more time to absorb the information. I had decided to stay in the Bordeaux area for a week so the following Monday I made the short journey St Emilion. I was pleased to find that it was not over-run with tourists early in the season, and I particularly wanted to have lunch at ‘La Terrasse Rouge’, a restaurant belonging to Chateau La Dominique, which is on top of a new fermenting room clad with vivid red metal, which looks stunning against the green of the vineyard. 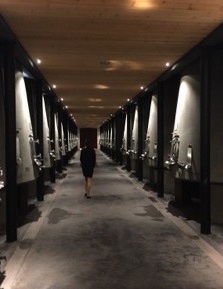 The atmosphere in the restaurant was as you might expect not quite as hallowed as that at Pontet-Canet, with an army of staff running round what might have been a city-centre brasserie, were it not for the spectacular views of the vineyard it offers on all sides. I ate from the ‘menu du jour’ and as is often the case with these destination places, the food although good did not quite live up to the surroundings. I recall the item I enjoyed most was a rum-baba, something often found in ‘old-style’ French brasseries though sadly not often on this side of the Channel, and with Brexit looming hardly likely to experience a revival. I also enjoyed a glass of Chateau La Dominique ’13, but moreso a glass of Chateau Fayat ’11.